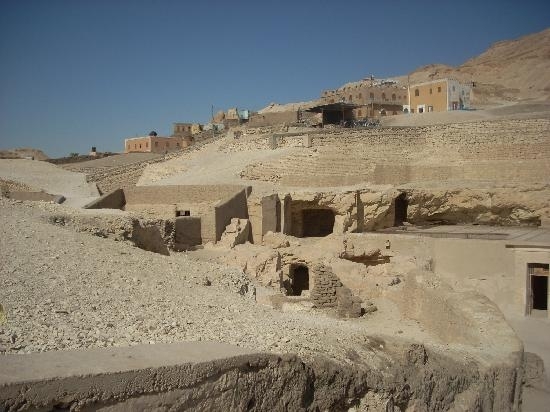 Valley (Tombs) of the Nobles - as it is usually referred to, is a fascinating insight into the hundreds of tombs discovered here over time and many archaeological digs. Situated along the West Bank of the Nie and unmistakable sandstone rock cliffs, it was once an ancient City where all the burials took place. 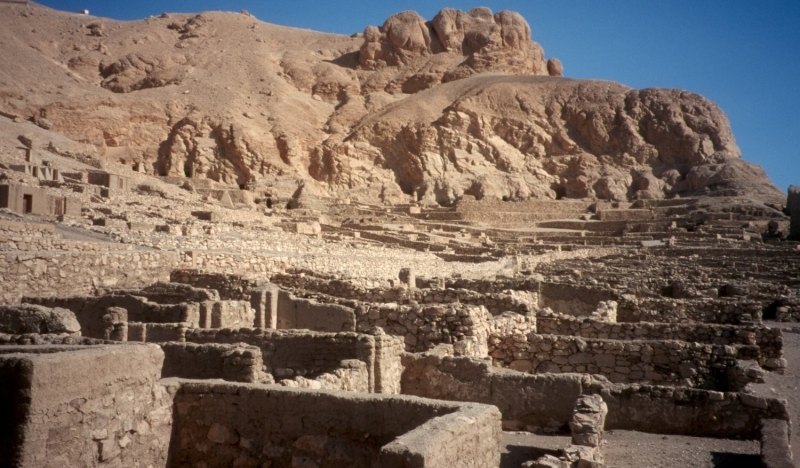 On the West Bank of the Nile across from Luxor City is located the The Theban Necropolis namely the Tombs of the Nobles.Many numerous tombs are located here with burial places of some who were the most powerful courtiers and people of the ancient City. 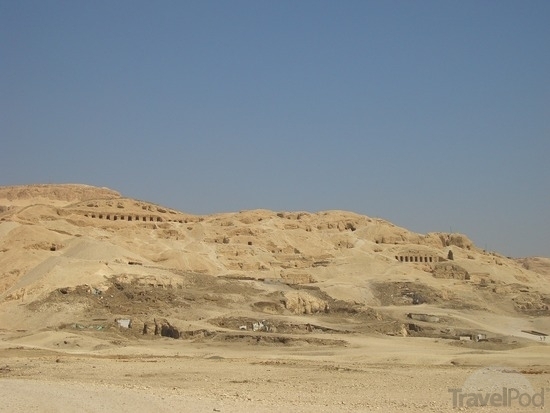 Known to host hundreds of tombs, some were said to have been lost and not yet been located. In the period of the New Kingdom, the tombs had inscriptions of the tomb owners on them with some having a short prayer. 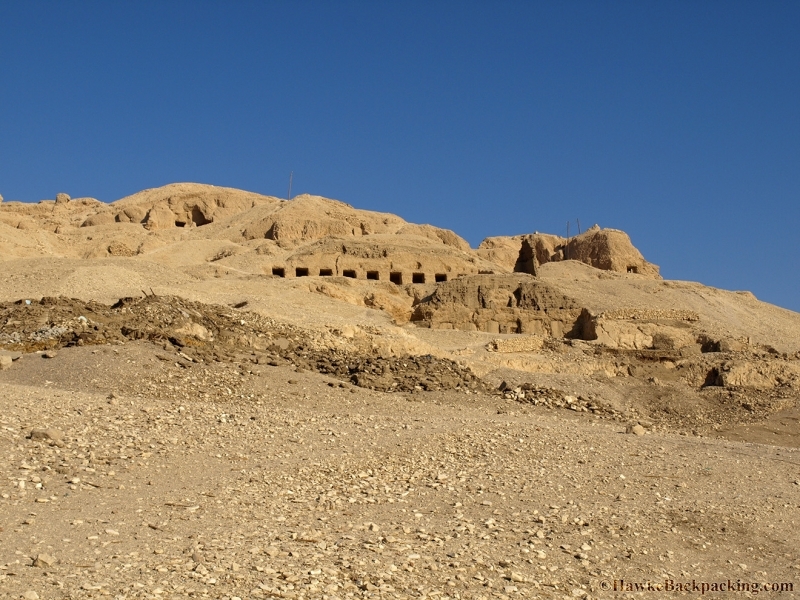 Often considered neglected by visitors due to the high level and promotion of the Valley of the kings, the Tombs of the Nobles is well worth a visit. Its cemetery hosts hundreds of tombs all embedded in the rock face, and very often richly decorated with frescoes depicting the working lives of their inhabitants.Not all of the site and area can be accessed, however, it does include such Tombs as Sennofer who at that time was the Mayor of Thebes (the Old name for the now City of Luxor). This tomb has some beautiful original paintings of harvesting scenes and grapevines. A very grand Tomb included in this worthy visit, is the tomb of the Noble Ramose which offers a glimpse of life at that time under the rule of Akhenaten, one of the earliest rulers to follow the monotheistic faith.